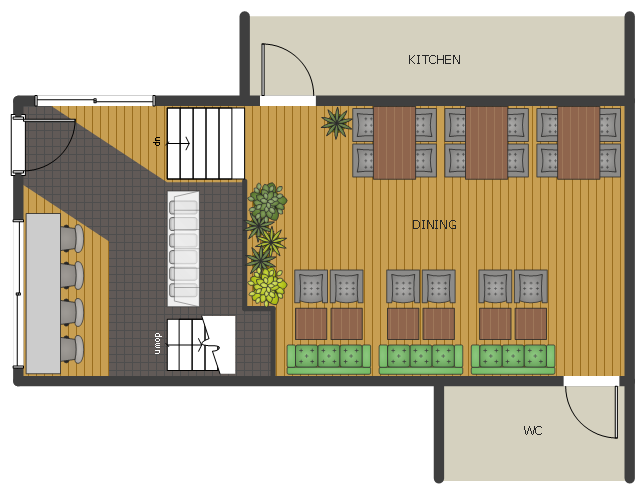 This floor plan sample shows bar equipment and furniture layout. 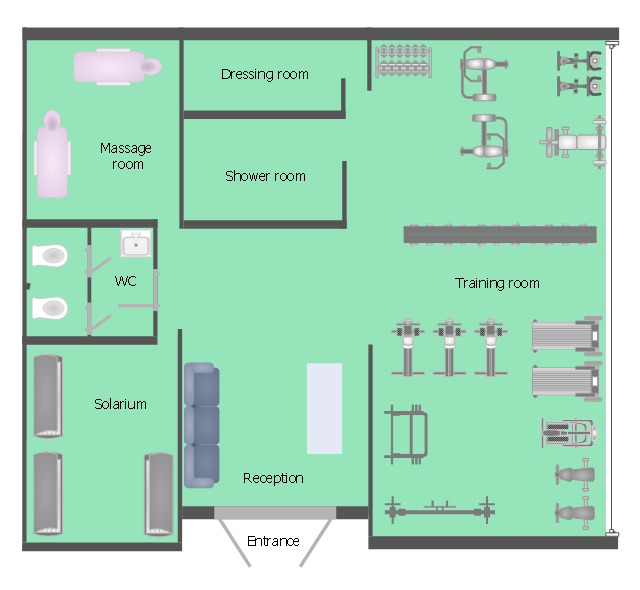 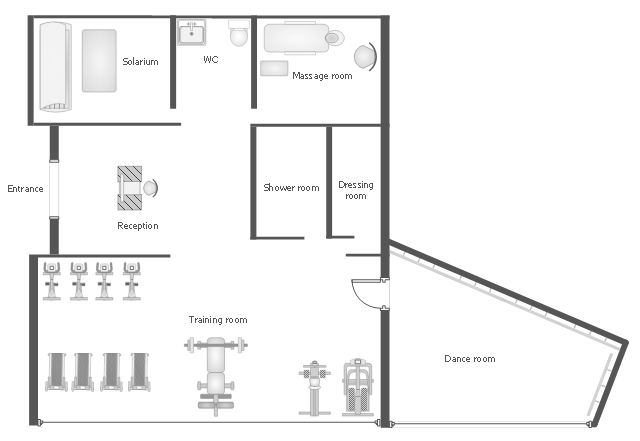 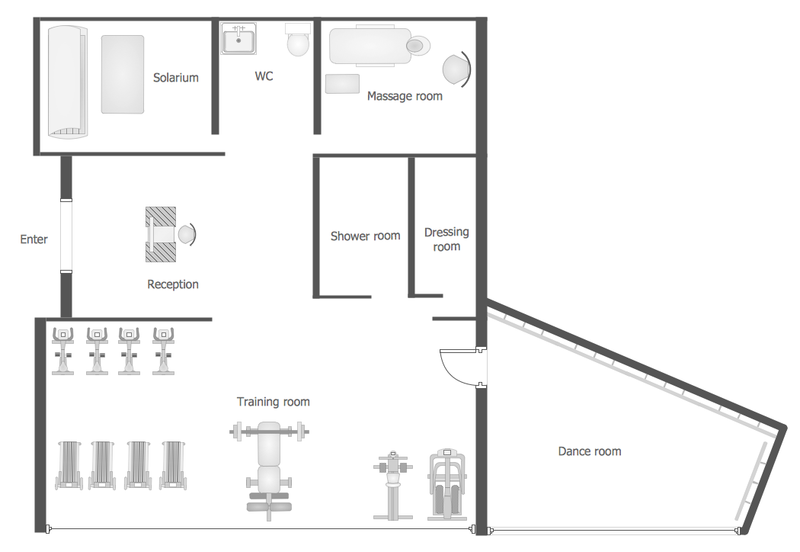 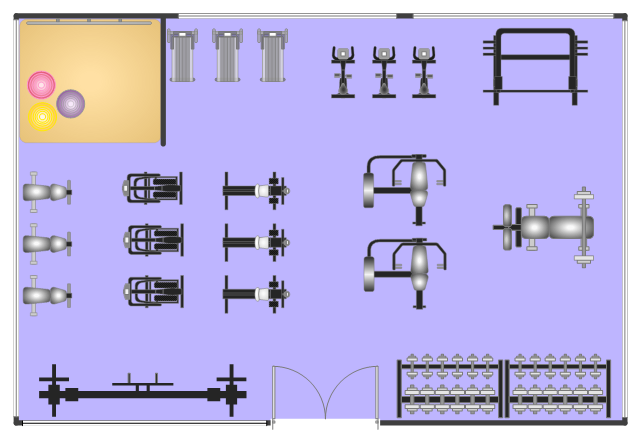 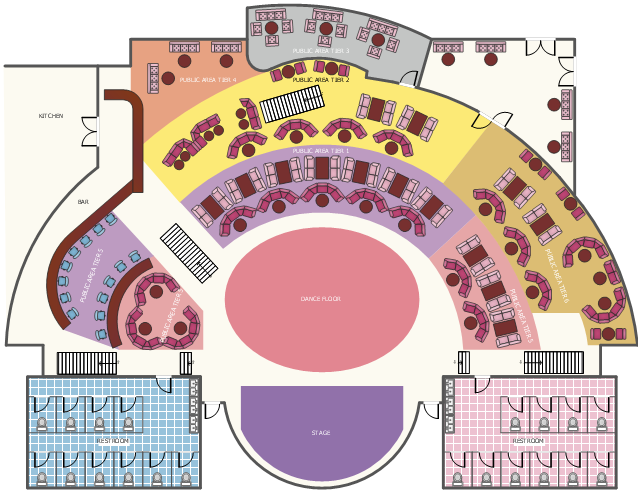 This floor plan sample shows nightclub equipment and furniture layout. 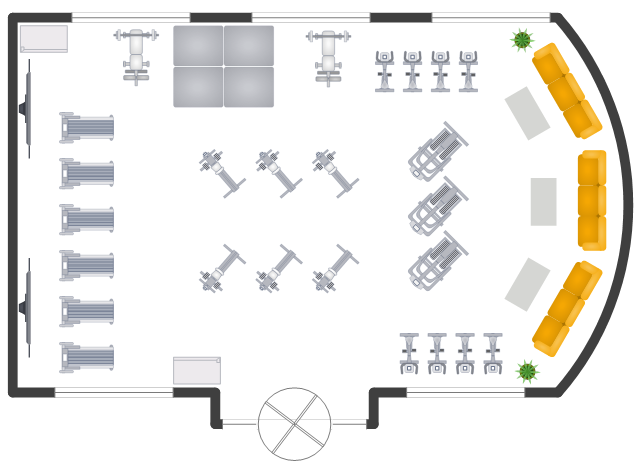 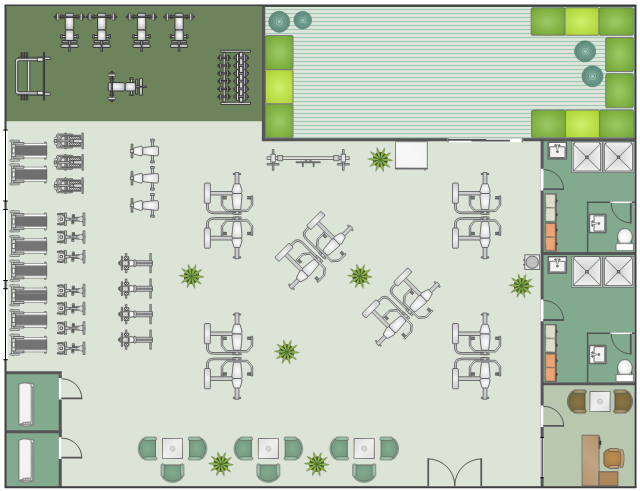 The floor plan example "Nightclub Plan" was created using the ConceptDraw PRO software extended with the Cafe and Restaurant solution from the Building Plans area of ConceptDraw Solution Park.